In an interview with French reporter Sebastien-Abdelhamid for Game Informer, Yu Suzuki has supposedly announced that he would entertain the idea of crowd funding Shenmue III and a potential anime / manga series. 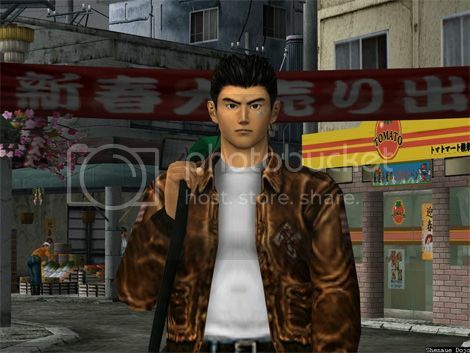 It’s no secret that the end of Shenmue II left a gaping hole in the hearts of all the kids lucky enough to play a Dreamcast back before the console's demise. Back then; the story of Ryo Hazuki (The brown leather jacket wearing Japanese dude who could easily be mistaken for the T-1000 due to his awkward social mannerisms) came to an abrupt end, leaving what was to be a 16-part epic saga unrealised for the past 12 years. In an interview with French reporter Sebastien-Abdelhamid for Game Informer, Shenmue series creator Yu Suzuki has supposedly announced that he would entertain the idea of crowd funding Shenmue III and a potential anime / manga series. Although this game has probably caused the newer generation of gamers to think “Wtf is this? YOLO lololol!”, I personally say to you guys now to put down your controllers so you can check out one of gaming’s classics – take a gander at this game’s majesty and tremble before it’s epicness! If this crowd fund ever came to fruition, please throw your money down so Yu Suzuki can finally sleep at night and not have to worry about being hounded with questions of “Where is Shenmue III?”. I would personally welcome a closure to this saga, well, after all I have been waiting 12 years for it to end!